Dundee has a lot of history and recently seen a huge investment especially down beside the harbour and the docks. The city which is known as the city of discovery and rightly has a boat called the Discovery which was run by Capt Scott located at the discovery point. 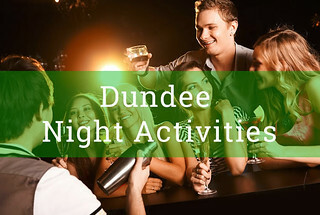 The city also has a University which of course means the nightlife is great, also with a variety of indoor activities within the city making sure there's enough to keep any group entertained throughout the day and night. Dundee is also located not far from St Andrews and can history making it ideal location for base if you enjoy golf. 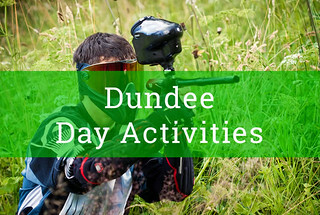 West of Dundee you'll find many great activities including whitewater rafting clay pigeon shooting, go-karting, Honda pilots, and are most popular activity that mini Highland games. There is also great museums in Dundee didn't the science Museum and many more.